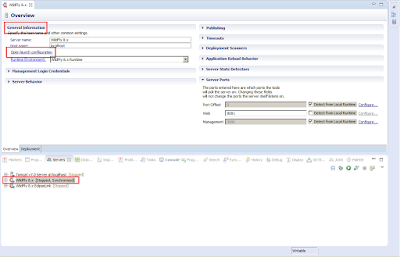 In order to be able to access the deployed applications on the WildFly server through the machine IP address, you should add the bellow configuration to the Eclipse lunch configuration as shown in the bellow screenshots. 1- Open launch configuration dialog from Eclipse. 2- Append "-b 0.0.0.0" to the Program argument. For more information about binding the WildFly server to different IP addresses, check the link by Arun Gupta.